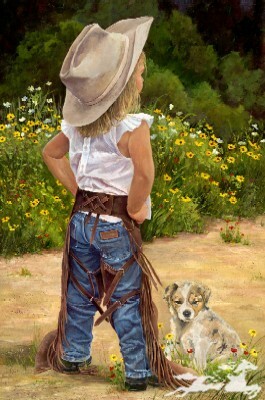 We've all seen it in our daughters and grand daughters - the attitude, the stance, the Boss Lady. Even if it's just bossing the puppy, her best friend, she can't help herself. Finally, she makes the decisions; things are going to go HER way. Or else. 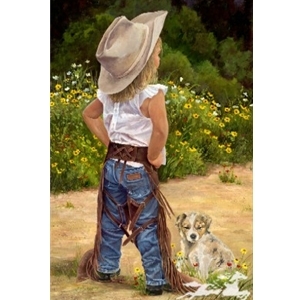 Is there anything cuter than this little girl with hands on her hips and determination in every step? It's her way or the highway, for sure.